Today, the office of Public Advocate Letitia James released a list of the 100 worst landlords in the city. Landlords with the most Department of Buildings (DOB) and Department of Housing Preservation and Development (HPD) violations ended up at the top of the list. The website is very detailed; it includes a number of lists and map views, to help you avoid moving into one of these buildings. Sixteen of the city's the 100 worst landlords have buildings in Bushwick, Ridgewood, and East Williamsburg. They have a whopping total of 8,804 violations between them (though some of those for buildings outside of those three neighborhoods). 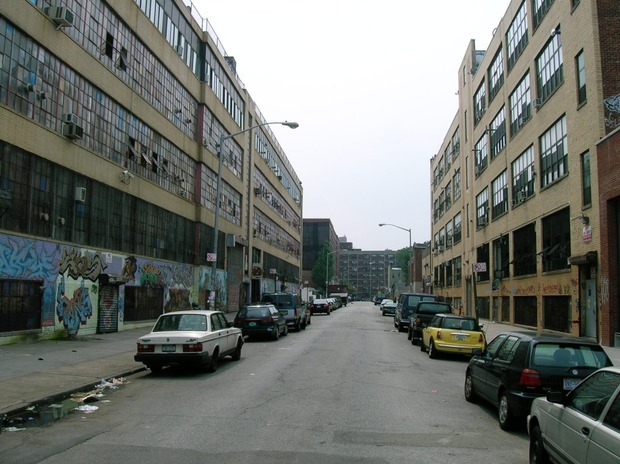 Buildings include: 269 Melrose St., 653 Knickerbocker Ave., and 383 Menahan St.
Buildings include: 308 Harman St.
Buildings include: 590 Bushwick Ave., 20 Harrison Pl., and 142 Grove St.
Buildings include: 917 Broadway Ave., 1235 Halsey St.
Buildings include: 787 Hart St., 791 Hart St.
Buildings include: 1299 Putnam Ave., 140 Palmetto St.
Buildings include: 1705 Putnam Ave., 1707 Putnam Ave., and 1725 Putnam Ave.
Buildings include: 206 Bleecker St., 275 Linden St.
Buildings include: 53 Montrose Ave., 238 Wyckoff Ave.
Buildings include: 300 Palmetto St.
Buildings include: 1054 Willoughby Ave., 180 Noll St.
Buildings include: 1229 Halsey St.
Buildings include: 871 Knickerbocker Ave.
Buildings include: 304 Evergreen Ave.
Buildings include: 1526 Bushwick Ave. Surprised your landlord is not on the list? Are conditions in your building deplorable? You can make a complaint by calling 311 or by contacting HPD directly. Featured image: The McKibbin Lofts. Image by Noremacmada courtesy of Wikimedia Commons.